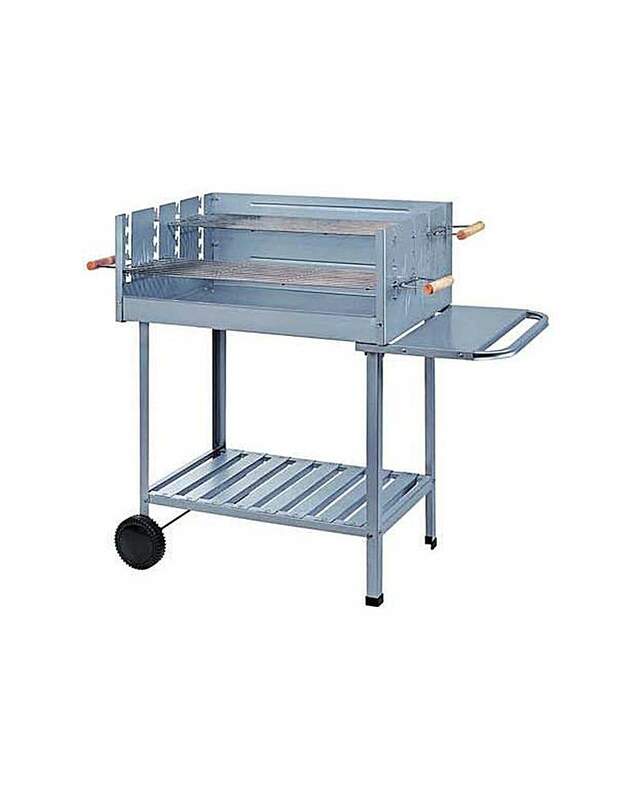 We have limited stock of this product, please try 345/0815 as an alternativeThis party BBQ has a chrome plated adjustable cooking grills and handy side shelf and is big enough to cater for your larger outside gatherings. Constructed from steel. Overall size H97, W112, D52cm. Size of cooking area 23 x 92cm. Adjustable cooking grills. Weight 17.2kg.